All credit cards are more expensive payment methods for merchants than other forms of payment such as debit cards and cash. But the higher fee rates associated with premium credit cards hurt Canadian small businesses especially badly - credit card companies charge merchants even higher fees when customers use premium credit cards than when they use 'regular' ones. The Canadian Federation of Independent Business (CFIB) has put together a credit card rate chart that lists many of the specific types of credit cards available in Canada. Looking at the list you'll see, for example, that the transaction fee charged a merchant when a customer uses a regular MasterCard is 1.75 percent, but if a customer uses a MasterCard Premium High Spend card, the transaction fee is 2.71 percent. Some MasterCards in the World/World Elite category carry even higher transaction fees. To a small business that processed $100,000 worth of credit card transactions each month, the .96 percentage difference charged for premium card transactions would cost an additional $960 a month, an extra $11,520 per year. I've used MasterCard rates as an example but I could have just as easily picked Visa; Visa transaction rates follow the same model of premium cards being used to extract higher transaction fees from merchants. And credit companies have been pumping out premium credit cards. "There are a staggering number of cards on the market today in Canada, with over 200 MasterCard and Visa cards on our rate chart alone," says Dan Kelly, president and CEO of the CFIB. The Canadian Federation of Independent Business (CFIB) started its campaign against the high cost of Canadian credit card transaction fees in November 2008 and was instrumental in developing the Code of Conduct for the Credit and Debit Card Industry in Canada which came into effect August 17, 2010.
allow merchants to accept lower-cost cards from one brand without the requirement to accept higher cost 'premium' cards or to surcharge for accepting higher cost cards. have all higher cost credit cards to be required to be separately branded as 'premium' as most consumers still do not know that some credit cards charge extra fees for merchants. add rules about mobile payments and issues related to processors. In 2012 the Competition Bureau of Canada took Visa and MasterCard to court over surcharging and honor-all-cards rules. The Competition Tribunal "is a strictly adjudicative body that operates independently of any government department" that hears cases dealing with economic and business matters such as mergers, misleading advertising and restrictive trade practices (or, in other words, cases dealing with matters arising from the Competition Act). The argument before the Competition Tribunal was that Visa and MasterCard were engaging in anti-competitive behavior and their restrictive contracts allowed the two credit card companies to essentially dictate terms to merchants (an argument that certainly doesn't sound farfetched to me when you consider that Visa and MasterCard made up 92 percent of the Canada credit card market, handling about $322 billion of credit card transactions in 2011). These terms allowed Visa and MasterCard to charge transaction fees of over three percent in some cases, fees that, according to the Competition Bureau, were among the highest in the world and rake in $5 billion for the credit card industry each year. refuse to accept high-cost credit cards but still accept others from the same brand name. add surcharges to counteract the higher transaction fees charged for premium credit cards. In July 2012, Visa and MasterCard (along with several major banks) settled a long-running lawsuit that alleged the card issuers conspired to fix retail transaction fees. Visa, MasterCard, and the aforementioned banks agreed to pay U.S. retailers at least $6 billion USD - and the terms of the settlement allowed U.S. retailers the right to charge their customers more if they pay with credit cards. However, on July 23, 2013, the Competition Tribunal decided the case against the higher merchant fees of premium credit cards was unfounded. While the case was actually dismissed on a technicality, the Tribunal did look at the case and said that it would have declined to issue an order and noted that the proper solution to the concerns raised by the Commissioner is a regulatory framework. The Consumers’ Association of Canada was "ecstatic" about the decision, claiming that it's a huge win for consumers. MasterCard and Visa, as you would expect, fall into the ecstatic camp; both companies immediately issued statements praising the decision. On the other hand, Dan Kelly, president of the Canadian Federation of Independent Business, called the decision a big loss for Canadian merchants and vowed to fight on. The Retail Council of Canada was also disappointed. "Canadians are paying more than they should be at the register because of these high fees," retail council spokesperson David Wilkes said. "Totaling more than $6 billion annually, these fees have a negative effect on merchants and consumers alike" (CBC News). Throughout 2013 and 2014, the CFIB continued to work on the problem of high credit card processing fees by joining with Interac to launch tools to encourage customers to use debit instead of credit and by lobbying all industry players and government for reductions on processing fees and improvements in disclosure and dispute resolution. Payment processors can only auto-renew a contract for up to six months, so fewer merchants will be locked into bad contracts. 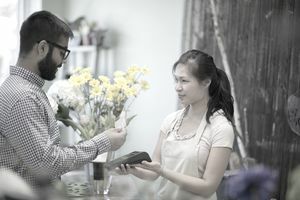 Credit card transaction fees for merchants in Canada are still high, however, and the Code doesn't protect merchants from signing "bad" processing contracts. What Can You Do as a Small Business Owner? Familiarize yourself with the Code of Conduct for the Credit and Debit Card Industry in Canada. Both Visa Canada and MasterCard Canada have agreed to comply with this voluntary Code of Conduct introduced by the Minister of Finance on May 17, 2010. If you have a complaint about a potential violation, you can contact the Financial Consumer Agency of Canada which will determine whether or not the credit card company is in compliance. You should also read their document What Does the Code Mean for Merchants? You can also educate your customers about the problem. Most consumers don't give much thought to credit card transaction fees and are not aware that some credit cards cost much more per transaction than others. Ask your customers to consider paying by cash or debit instead and let them know about the problem with premium credit cards and higher transaction fees. The CFIB has put together some customer request signage that you can download and post by your cash register(s). For the time being, if your Canadian small business accepts credit cards, you have to accept whatever Visa or MasterCard your customer presents as payment, whether it's a premium card with higher transaction fees or not and are not allowed to add a surcharge to help cover the cost.